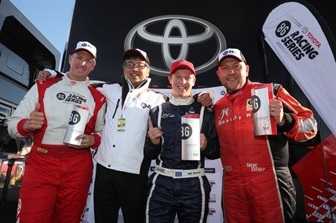 Cars Galore driver Will Brown has capped off a remarkable year by taking victory and winning the inaugural Australian Toyota 86 Series championship after the final round of the streets of Sydney today. 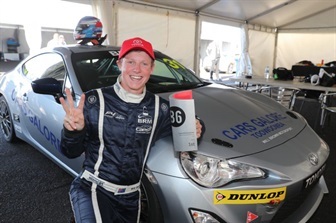 In doing so, still at just 18 years of age, he becomes 1 of only 5 drivers in Australian racing history to achieve 2 national circuit racing titles in the one year. Will Brown is seen with parents after taking out the 2016 Australian Toyota 86 Championships. In 2016 Will won the CAMS Jayco Australian F4 championships, with 6 wins and 13 podiums from 18 races and the Australian Toyota 86 Series with victories including '3 wins from 3 races' at Mount Panorama, Bathurst. He placed second in the 2016 Australian Formula Ford Championships with 9 wins and 11 podiums from the 15 races. 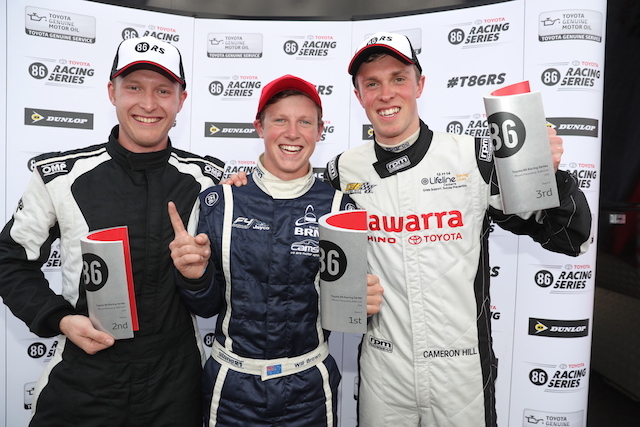 Will Brown has won the inaugural Toyota 86 Racing Series title after a chaotic encounter at the Coates Hire Sydney 500. Race 2 of the weekend was abandoned after a first corner pile-up which took out two of the round’s guest drivers, Matthew Brabham and Alex Davison. With the race declared a non-result after being red flagged due to the track blockage, those behind could not collect enough points to collect to overhaul Brown in Race 3. That encounter effectively served as the Toowoomba driver’s coronation, who won the run to the first corner and gradually pulled away from the field to take out the race and round. The achievement is Brown’s second national title of the year after taking out the Australian Formula 4 Championship, He also finished as runner-up in the national Formula Ford series. The 18 year old, who earns $50,000 prizemoney and a $20,000 VIP experience for his series triumph, was also issued with the Peter Williamson Trophy for the round victory. The trophy honours the former Toyota factory driver who passed away in April, aged 78. The Toyota 86 Racing Series commences its 2017 season at the Phillip Island Super Sprint, from April 21-23. Despite winning the championship, there will be little time to rest for Brown who heads to America on Tuesday, representing Australia, to drive in an 18-driver shootout for the inaugural Mazda Road to Indy USF2000 $200K Scholarship Shootout. The MRTI Shootout at Mazda Raceway Laguna Seca, to be held Dec. 7-8, brings together talent from around the globe with the winner receiving a $200,000 prize from Mazda to assist in graduation to the 2017 Cooper Tires USF2000 Championship Powered by Mazda.